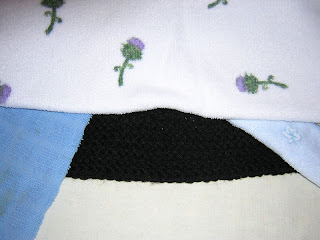 SewWonderful: Acrylic: To Block or Not To Block? Acrylic: To Block or Not To Block? With DH gone for a week to do some mountain climbing, I settled in to to do some serious knitting. With 3 days of concentrated effort, a Babies and Bears Sweater is off the needles, blocked, and ready for me to make a trip to the fabric store to find the perfect buttons. Plymouth Encore yarn doesn't seem to be readily available in my shopping district so I had settled for Lion Brand Vanna's Choice, an acrylic/rayon blend. With no previous experience with this yarn, I was pleasantly surprised. The sheen is lovely and the hand delightful. 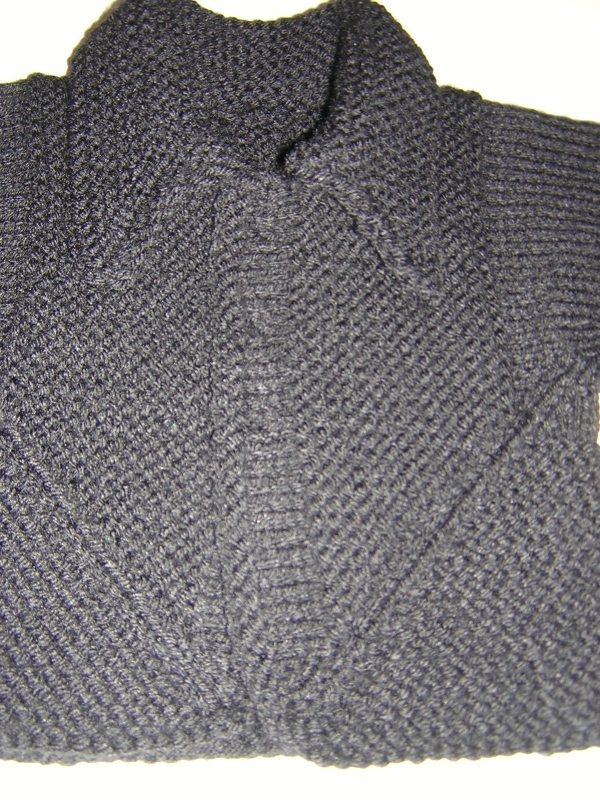 With an obstinate curl along both button plackets, I had a dilemma, try blocking the acrylic yarn or let the buttons hold the placket in place. Acrylic yarn can be killed by too much heat, but after consulting with the experts on the Yahoo knitlist and some Googling, I was sure I could cure the curl. Uncontrolled, the lower placket rolled all the way over on itself. My Rowenta hand steamer is still lost in the maze of moving boxes and it has had an obnoxious drip since it was new and gifted to me. I decided not to hunt for it. The Sunbeam steam iron was a better drip-free choice. Filling the iron with water and setting it for the maximum burst of steam, I practiced on the gauge swatch, hovering the iron above about an inch. First error was to steam from the right side but a test wash and toss in the dryer showed promise. The swatch retained its now flattened edges. Encouraged by the permanent results, I placed the sweater on my pressing surface, wrong side up and proceeded to cover the areas that I did not want hit by steam with cotton hand towels. Working carefully, I successfully flattened just the button plackets and a small area in the back that was riding up slightly. 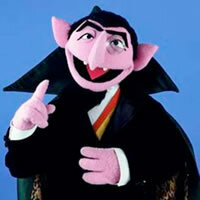 Don't worry, both fronts are exactly the same size. 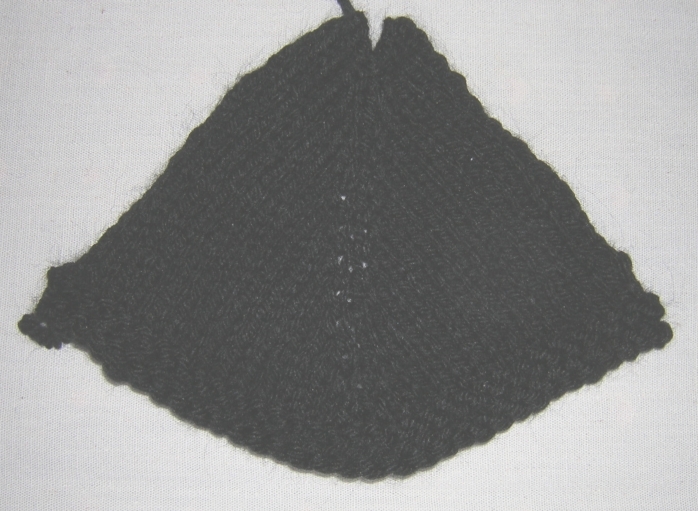 Now, with the success of blocking acrylic yarn, I will be more willing to use it for future projects. The only thing I won't do again is use that collar! I followed the instructions for the shaped collar in the Baby Surprise Jacket pamphlet. 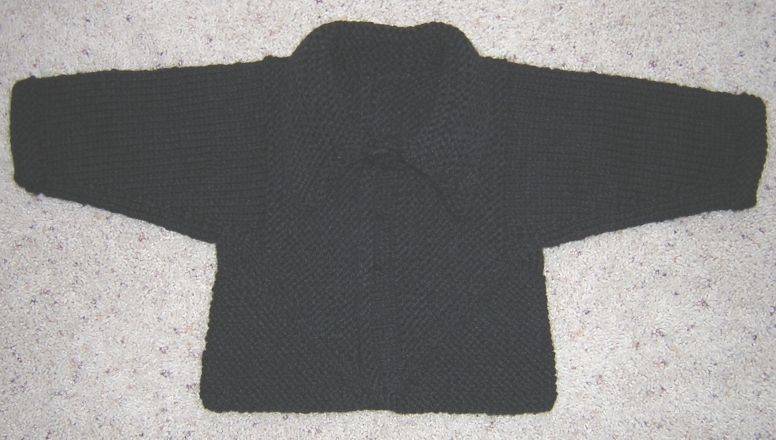 I like the idea of creating fullness for a roll line but the points are just not appropriate for a baby sweater. They look more like a shirt collar or worse.